Cape Pointe Marina Everything you need for a great fishing or boating trip is right here. Come see us today! Cape Pointe Ferry Sit back, relax and enjoy the ride as we take you to the best destinations the area has to offer. RV & Boat StorageStay on-site. Enjoy the convenience of long-term boat storage. 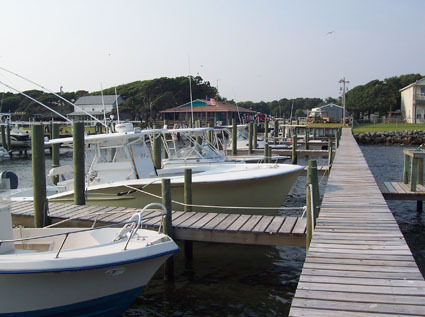 Cape Pointe Marina is a full-service marina offering everything from boat ramps and slips, to all the supplies you need for a fantastic fishing trip. 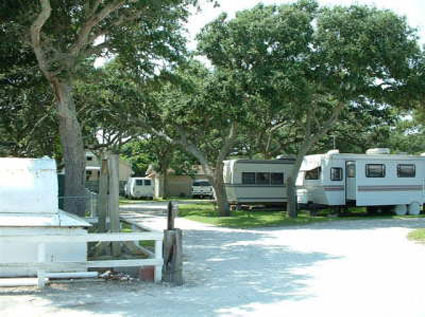 Plan an extended stay and take advantage of our on-site RV lots. Long-term boat storage is available year-round. Ferries to Cape Lookout National Seashore, home of the famous Cape Lookout Lighthouse, depart on the top of the hour and on the bottom of the hour as demand requires. Welcome to Cape Pointe Marina! Cape Pointe Marina is your one stop shop for all fishing, boating and camping needs! Located on Harkers Island in Carteret County, we offer everything you need for the best fishing trip around. We offer monthly and annual boat slip rentals, a boat ramp, ships store, live bait, gas and oil, annual RV site rentals, boat engine repairs, boat and RV storage, and souvenirs. 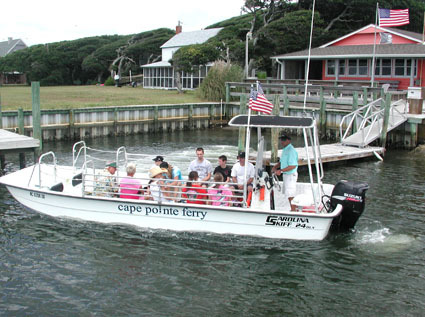 As one of the closest marinas to Cape Lookout National Seashore, we offer convenient ferry rides to Cape Lookout. Or explore the area and take a trip with us to Shackleford Banks and other destinations. For more adventure, join us on a chartered fishing trip off North Carolina's beautiful Crystal Coast! Cape Pointe Marina is run by Captains Bo and Chuck, US Coast Guard licensed Master Captains with the experience and expertise to ensure your trip is fun, exciting and a great success. Call or stop by today! The Southern Outer Banks are a wonderful area to explore and spend time with your family. Ask us and we'll guarantee you enjoy your stay, whether it involves boating and fishing, or some other activities or attractions we can help you with. Charter Fishing Whether fly fishing for albacore or hooking a world record blue fin tuna, the waters off Harkers Island present today's angler fantastic year round fishing opportunities. Cape Lookout National Seashore is home to the famous Cape Lookout Lighthouse, standing 169 foot tall to give a big welcome to everyone visiting the site.